The benefits of real-time bidding (RTB) seem obvious, but as a percentage of the display advertising market, RTB’s growth has lagged many observers’ expectations. 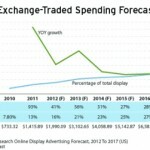 According to a study (PDF) conducted by Advertiser Perceptions and released this week by Casale Media, approximately half of media buyers and sellers are already participating in the RTB ecosystem, and significant growth is expected over the next year, but both sides still have a number of concerns that are holding RTBs back. The biggest issue for media buyers is quality, with more than three-quarters indicating they’re concerned about the impressions they’re receiving. Given that half of online ads aren’t 50% in-view for even a second, it’s not surprising that these media buyers said they’d probably spend more through RTBs if a viewable impressions standard, or something similar to it, were applied. Following quality, 70% of media buyers polled expressed concern over brand safety and 65% were uneasy about the transparency of the RTB process.